Whether you need to comply with OSHA regulations or simply want to make people aware of a potential hazard, chances are we have what you need in stock. 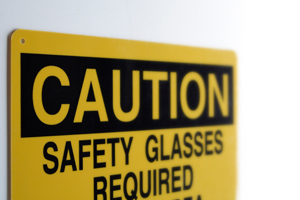 And if you need a customized safety sign, we can handle that, too. Be safe and give us a call us today.